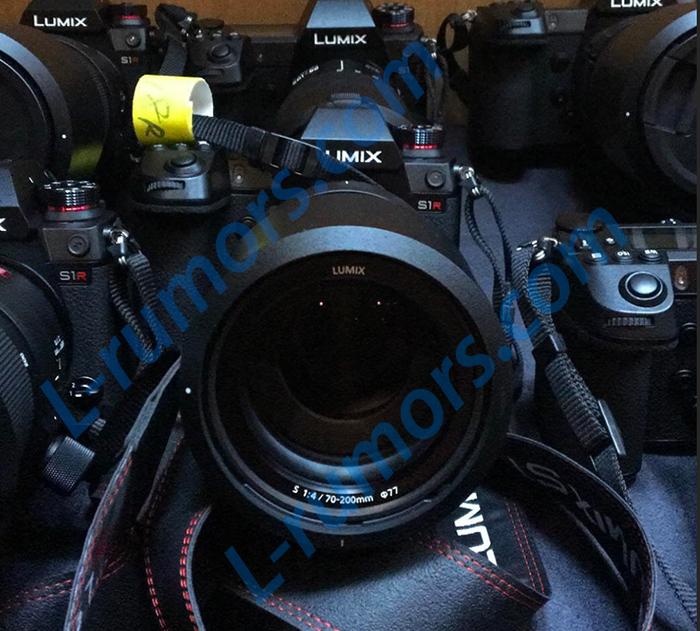 We just got this first leaked image of the production ready lens which clearly shows the constant f/4.0 aperture. So the guess from Digitalcameraworld that the new 70-200mm S lens might have f/2.8 aperture were off. Pity because that 77mm filter thread is the same we get on the Sony 70-200mm f/2.8 GM. The full reviews and preorder opening will happen on Friday February 1st at 11:00 London time. But we hopefully will get more info in the next hours too! next post: (L5) The Panasonic S1R can take 187 Megapixel images in High Resolution mode!